HOCKEYGURL DESIGNS works with design firms and marketing companies who outsource their design and development projects to us. We provide design mockups, code development, brand management and SEO. The projects shown below are only a portion of our recent contracted projects. This website was designed for a tanning salon with locations in Superior, Wisconsin and Duluth Minnesota, in conjunction with our contract agreement with a Minnesota web design firm. The site details the services offered, provides maps and directions to the various salon locations, notifies visitors of current specials and products available, and allows for signup for a newsletter. Information and special offers are provided for all salon locations and entities. 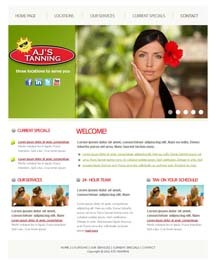 This website has now been redesigned in a WordPress template by the salon owners. 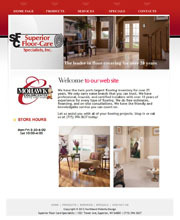 This web site was designed for a floor care business in Superior, Wisconsin, specializing in carpet, tile, laminate and hardwood flooring installation, in conjunction with our contract agreement with a Minnesota web design firm. It will include a gallery of projects, as well as links to those companies whose products they provide, including Mohawk, Congoleum, Armstrong, DuraCeramic, and more. The clients requested a feminine design, as most of their web visitors are the female head of the house. Our design has been replaced by a WordPress template, maintained by the representatives of the owners in Duluth MN. This web site was designed for a transmission service company in Superior, Wisconsin in conjunction with our contract agreement with a Minnesota web design firm. work areas, and a tracked contact form. 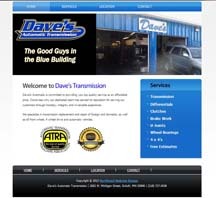 Our design has been replaced by a WordPress template, maintained by representatives of the owners in Duluth, MN. Work on this website was done in conjunction with our contract with a Phoenix area marketing company. Responsible for buildout of 100+ geographic landing pages of optimized content in multiple formats, including static HTML and CMS, based upon provided templates. Responsible for photo editing and creation of geographic photo banners for multiple landing pages, as shown above.